Back at school this week. Just doing mornings but it's still tiring me out. 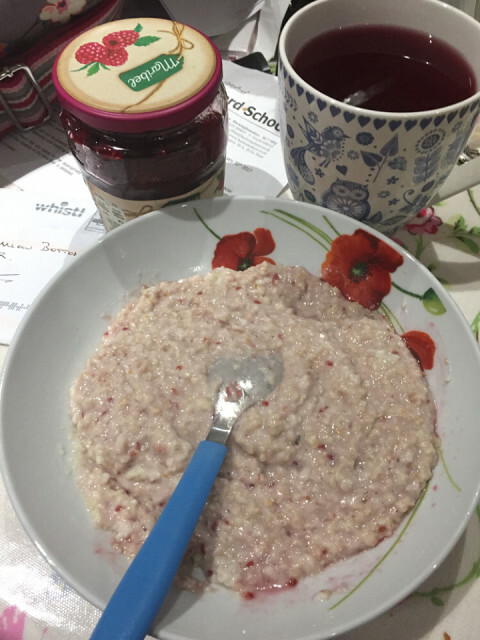 Porridge is keeping me going in the morning but instead of sugar I've started adding a teaspoon of raspberry jam which turns the average porridge into delicious yumminess.